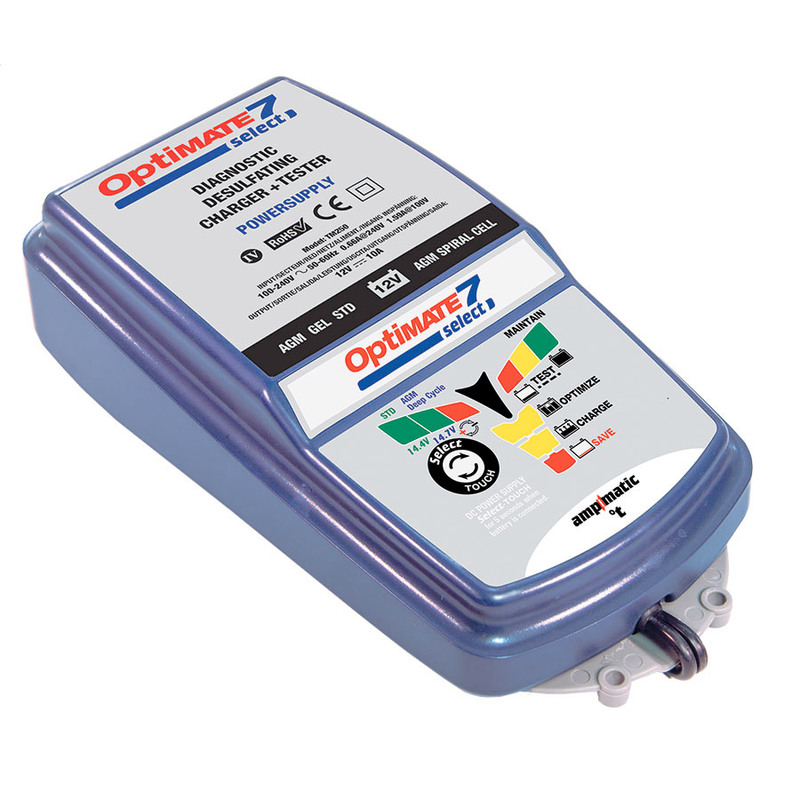 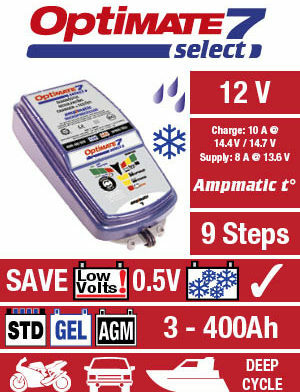 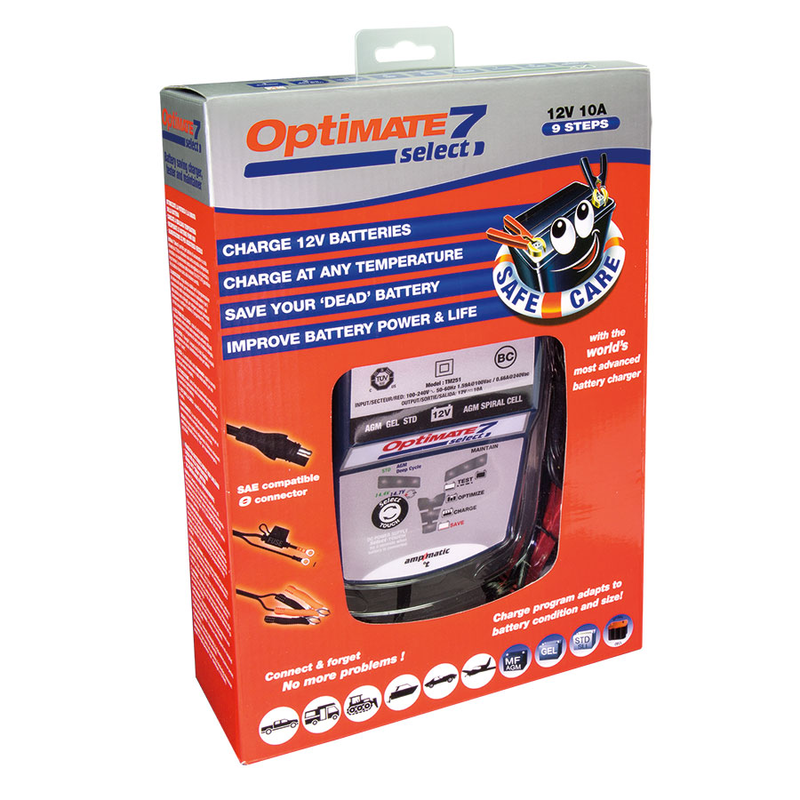 SKU: TM-250 Category: Battery Chargers Brands: Optimate. 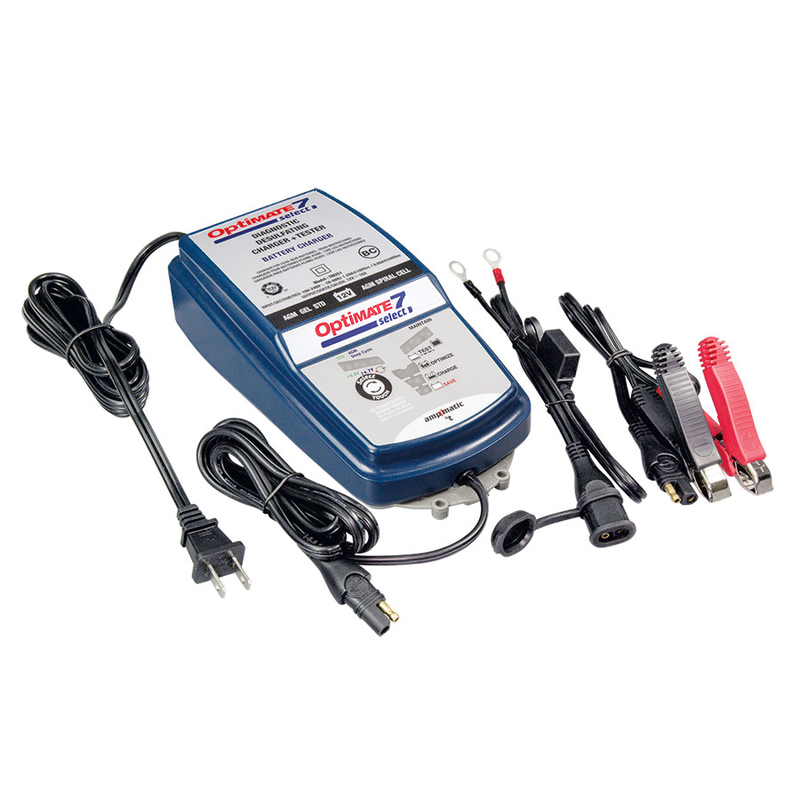 The world’s most advanced 10 Amp battery charger for starter & deep cycle batteries! 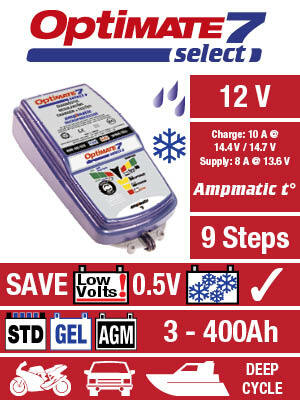 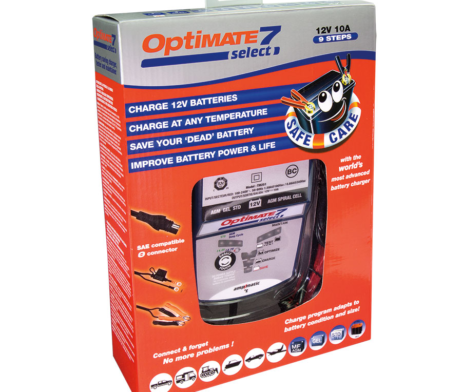 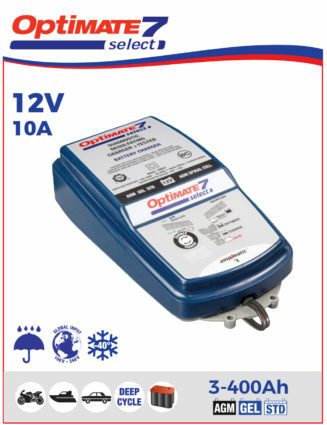 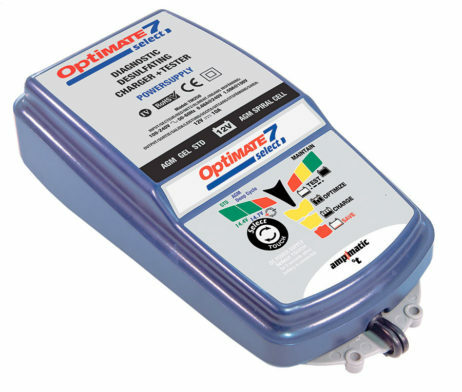 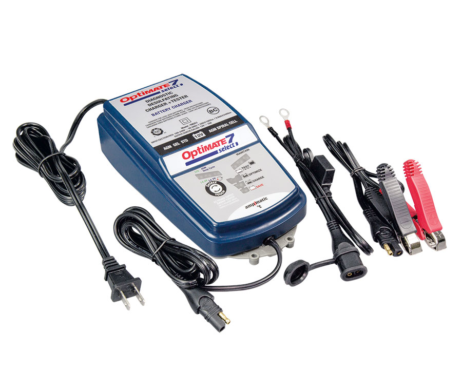 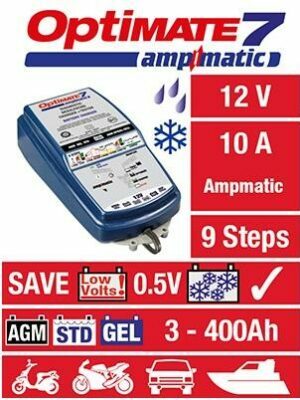 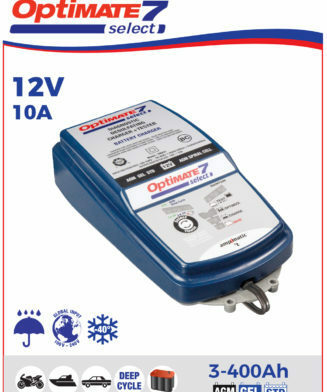 OptiMATE 7 Select 10 amp battery charger is perfect for starter and deep cycle 12V batteries that demand accurate temperature controlled charging and unsupervised safe long term maintenance. 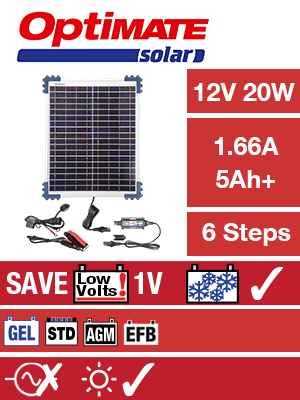 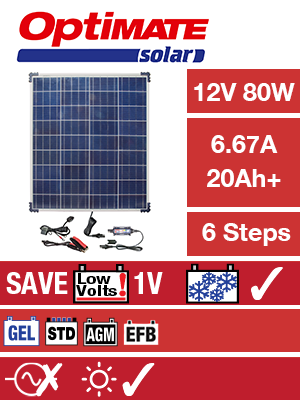 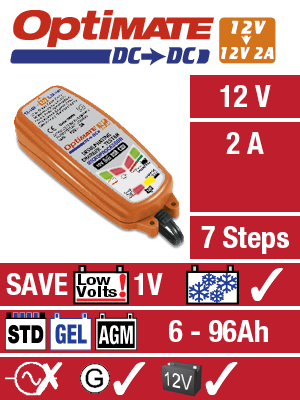 Voltage selection (14.4V / 14.7V) ensure the battery receives charge at the correct voltage.